There are few things as satisfying as the ritual of harvesting fragrant herbs, then using them to make wonderful herbal tea. Preparing a cup of tea signals your body to focus inward and heal what ails you. 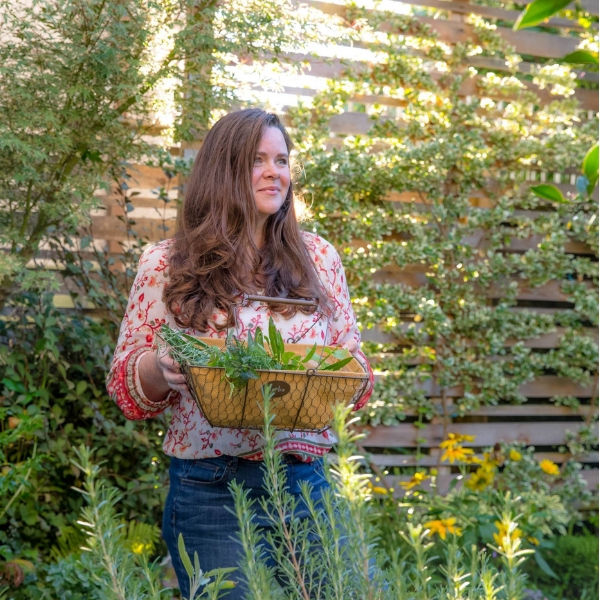 When you also grow the herbs in your garden, the ritual expands to a full experience. 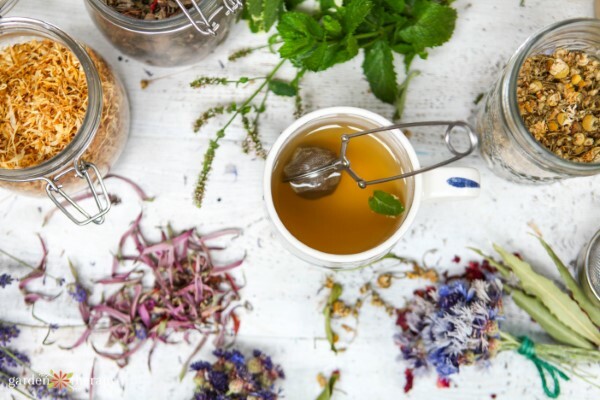 Growing herbs and enjoying their aromas, beauty, and attractiveness to pollinators, allows you to feed your body and it makes sipping tea much more savored. The careful harvest and preparation of herbs for tea becomes part of the tea ritual and ensures that you get the perfect brew. The warmth of hot tea can warm cold bones, comfort an upset tummy, soothe a sore throat, or help you fall asleep. Iced herbal tea can quench your thirst, cool your body temperature, replace lost electrolytes, and help with digestion. 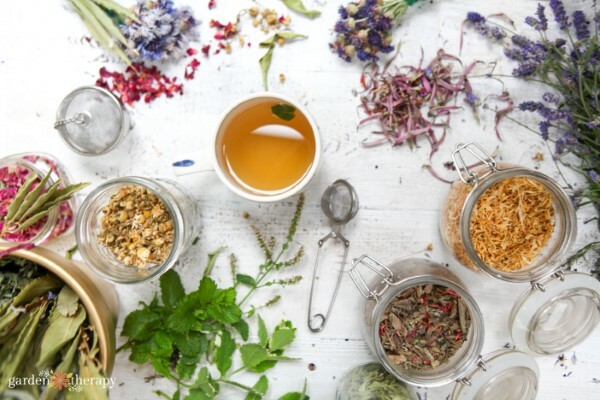 The temperature of the tea doesn’t matter, it’s the match of the herbs you include with what your body needs (I wrote more about that in this post on the medicinal plants to include in an herbal tea garden). Today I will share more about harvesting herbs, drying or preserving their flavors, and how to steep the perfect cup of herbal tea. If you feel inclined, take a moment before harvesting the appreciate your plants. They have worked hard to offer so much goodness to the world and gratitude is good therapy. Cut herbs for tea with clean, sharp pruners first thing in the morning, before the day heats up. This will maintain the most freshness in the leaves as well as cause less stress to the plant. If you are using leaves for tea, cut the stem off the plant and then remove the leaves from the stem (as opposed to plucking leaves off the plant and leaving it with bare stems). 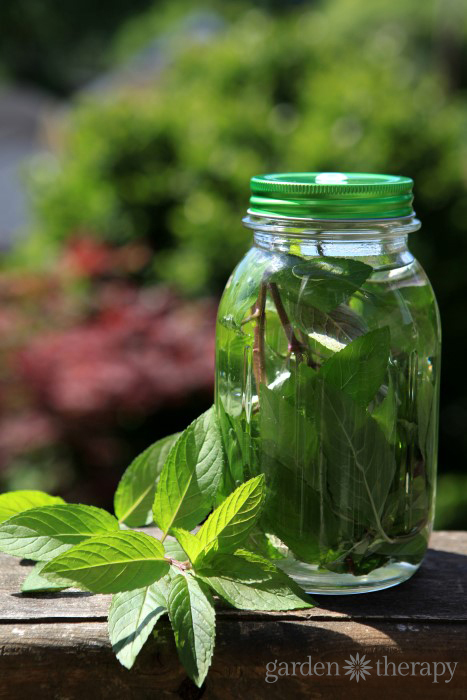 Some herbs, like mint, lemon balm, and basil, can handle having one third of the plant removed. Cut the stems down to one third of the full height, just above a set of leaves. The plant will send out new shoots from the cut branch making a fuller, bushier plant. When using flowering herbs for tea, wait until the flowers are fully formed and remove all of the flower heads that are mature. 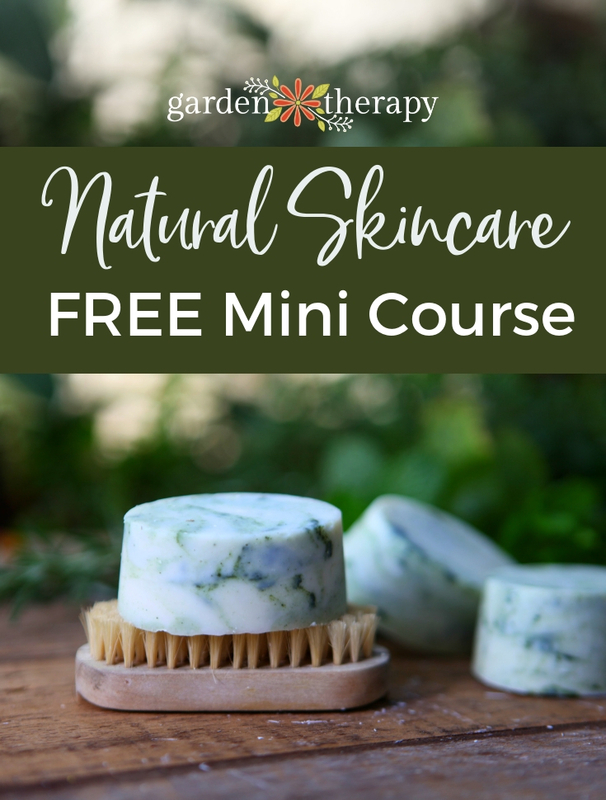 Avoid harvesting the buds for chamomile and calendula (go for open flowers instead), but harvest the buds before they bloom when cutting lavender. All herbs are different, so for best results research the best practices to harvest the particular herbs that you are growing. 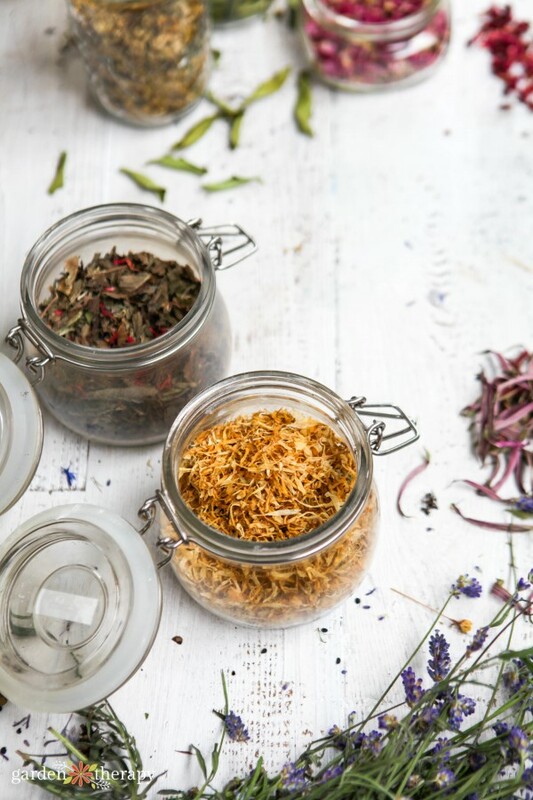 Infusions are made from leaves and flowers of the plant, while decoctions are made from the tougher part of the plants like roots, stems, or seeds. To make an infusion, pour boiling water over the tea ingredients and allow them to steep. Most herbal teas will not become bitter if steeped for a long time, so you can allow the herbs to infuse for 15-30 minutes, or drink it sooner if you are happy with the strength of the tea. To make a decoction, place the ingredients into a pot, cover with water, and simmer for 15-30 minutes. Again, you can strain out the herbs and drink it sooner if you are happy with the strength of the tea. Fresh herbs can be used for making a great cup of tea. 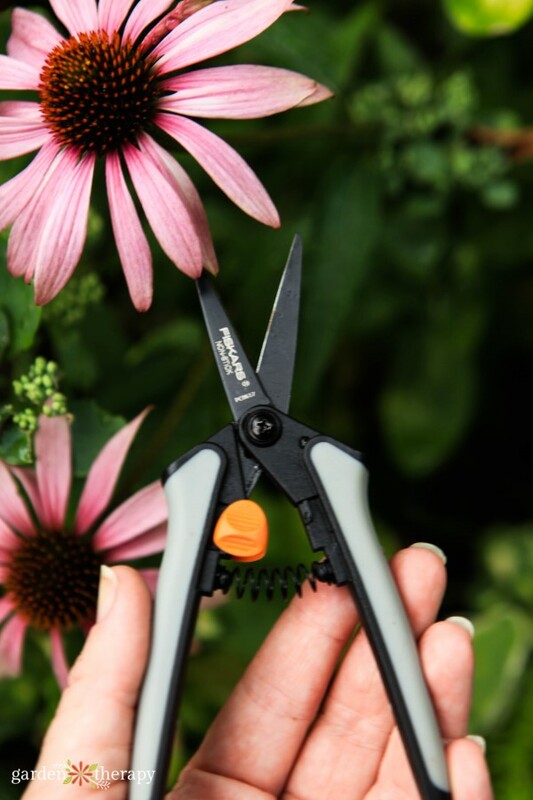 After harvest, inspect the leaves for any disease or pests (you don’t want to steep those!) and wash the leaves if you like. I grow all of my plants organically so there is really no need to wash them. 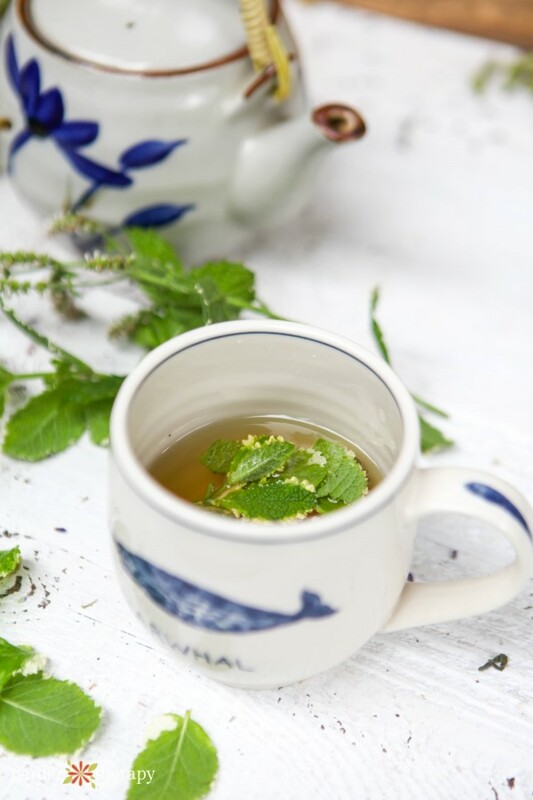 To make the perfect cup of tea from fresh herbs, bruise the leaves with a mortar and pestle. Next, place a tablespoon of bruised leaves in a cup and pour hot water over them. Allow the leaves to steep for five minutes or longer if you want a deeper flavor. To dry herbs for tea, you can use a food dehydrator or air dry them. Herbs are delicate and need a gentle heat, so even though many do dry them in the oven on low, I still find that too high for herbs. 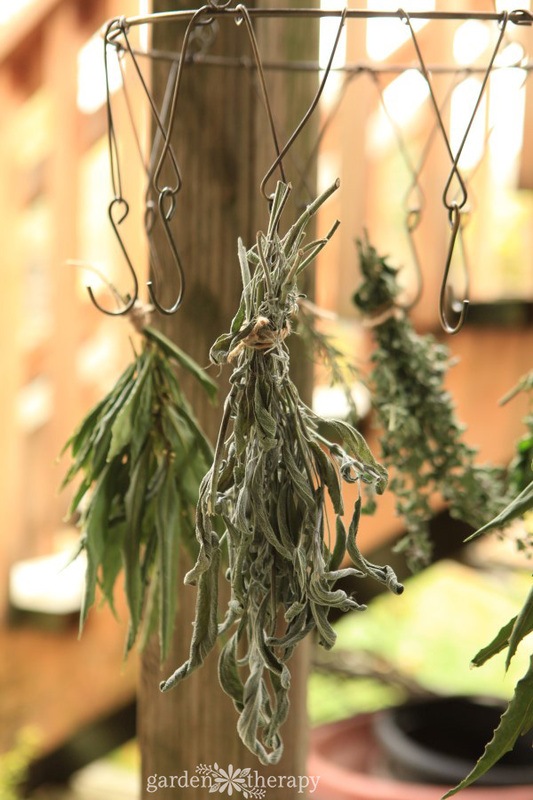 Whether you’re using a food dehydrator or the air-dry method, space out herbs well to get plenty of air circulation. 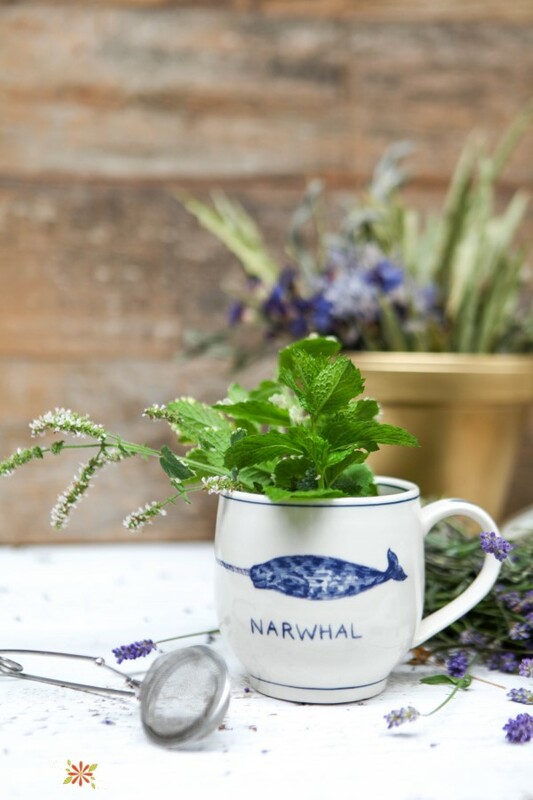 When the herbs are completely dry, store them in a pretty, airtight container like a vintage Mason jar. Replace any unused herbs the following year when the herb harvest is ready again. To make the perfect cup of tea from dried herbs, you can use a paper tea filter or loose tea ball to keep the herbs contained. Start with five minutes of steeping and taste to determine whether it is ready to drink. The tea will become more flavorful the longer it steeps. You can also pop fresh herbs in the freezer for use in teas. Put whole leaves into freezer bags and store them in the freezer for three to six months. The act of freezing will preserve the flavor and thawing will bruise the leaves and release their flavor. Discard the leaves if they become freezer burnt or begin to take on an odd odor. To make the perfect cup of tea from frozen herbs, add frozen leaves to a cup or teapot and pour hot water over them. The hot water will quickly thaw the leaves and begin infusing with flavor. Steep for five minutes or longer to achieve the best flavor. No matter what the season, I start my days by making a big pot of herbal tea to drink throughout the day. I have a few tea pots and an amazing thermos that keeps the tea fresh all day. I find that making just one cup at a time uses too much energy–both my own efforts and the heat required to boil water multiple times a day. In the morning, I decide on what type of tea I will drink for the day and experiment with flavors. Herbs can be steeped directly in water and then strained out when you store the tea for the rest of the day. Or you can use a variety of different products to contain the tea: paper tea filters, tea balls, a tea pot with a tea filter, or even a coffee press. To make hot tea, pour water that has just reached boiling over the herbs in a large tea pot and steep. Strain out the herbs and pour the tea into a large thermos to keep it piping hot throughout the day. Tea should be drunk or discarded by the end of the day (12 hours). See how to make sun tea here. 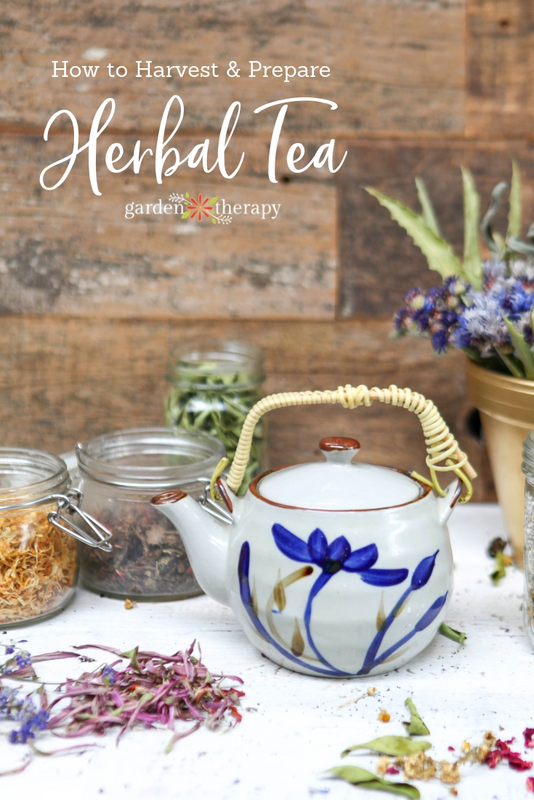 Herbal tea is a wonderful and simple way to add a little ritual, health, and mindfulness to your day. I hope you add it to your routine and enjoy it as much as I do.